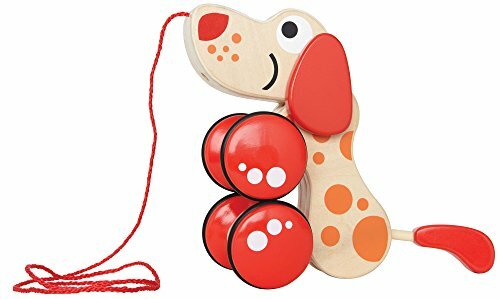 Hape's Walk-A-Long Puppy Push Toy for Toddlers is a cheerful dog and will happily accompany your child on his or her daily adventures. This push toy is perfect for your baby as they grow and become a toddler. 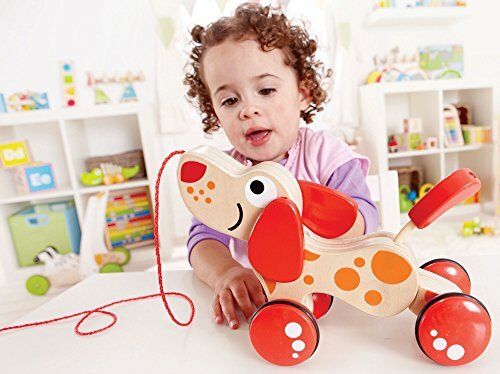 This friendly puppy can accompany your baby crawling as they push the puppy across the floor or once they start walking, it can be the perfect walk-a-long-puppy as it is ready to be pulled anytime. This toddler toys has a clever design that not only allows your child to take the puppy on a walkabout but also gives the child ability to place the cute dog in a number of positions. Namely, in a sit, stand and roll position, everything a real life puppy can do. This wooden pull toy not only gives toddlers a new best buddy but develops important motor skills as well. It develops hand-eye coordination, promotes dexterity, and manipulation. It also stimulates their imagination and creativity by encouraging imitative and imaginary play, fantasy storytelling and role-playing as they interact with this wooden puppy. Hape's toy is made from wood sourced from environmentally sustainable forests. The wooden toy is durable with solid wood construction, and can last for a number of years as your child grows into a healthy toddler. 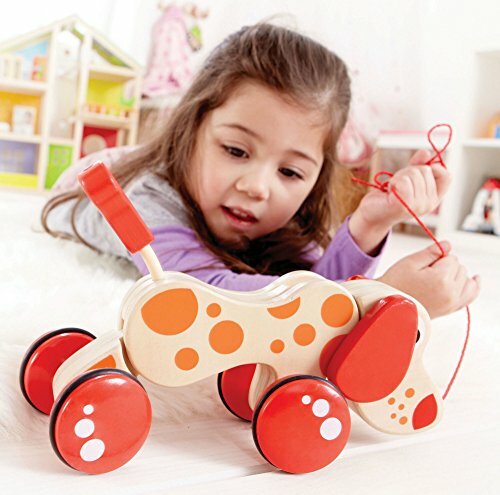 The dog pull toy is child-safe with non-toxic finishes of red and orange.